The postulates of the Big Bang theory and subsequent scientific data collected by different space missions, particularly the Hubble Space Telescope established the existence of a large amount of dark matter in the Universe. But its characteristics are difficult to determine, as it is invisible and its properties are inferred through indirect methods. There are different theories regarding the character of this dark matter. Some scientists believed that it was moving at a very high-speed (relativistic speeds) and therefore hot, whereas some others considered it moving at a very slow speed and hence cold. Since the initial stages of the Universe are impossible to detect, scientists depend on computer simulation to check the validity of the theories proposed about the birth and the evolution of the Universe. The Hot Dark Matter (HDM) model proposed the existence of dark matter which was made up of neutrinos. The model assumed that these neutrinos moved at a relativistic speed and have either zero or infinitesimally small mass. The main drawback of the HDM model is that it could account for the formation of large galaxy clusters, but it was unsuccessful in explaining the formation of individual galaxies. The data collected by Sudbury Neutrino Observatory show that the neutrinos detected from the outer space are oscillating, indicating that they have mass, thus contradicting the idea of zero mass neutrinos, which is the bases for the HDM. Even taking into account the small mass of the neutrino, it was not possible to account for individual galaxy formation . The HDM model was replaced by the Cold Dark Matter (CDM) model. The initial big bang was followed by an expansion that resulted in the formation of the Universe. According to the CDM model, the constituents of cold dark matter were formed in the thermal equilibrium phase, which followed this expansion. Cold dark matter’s interaction with normal matter is so weak that it is impossible to detect it through direct methods, but does show itself through gravitational influences. It is proposed that it may possibly interact through weak nuclear forces. 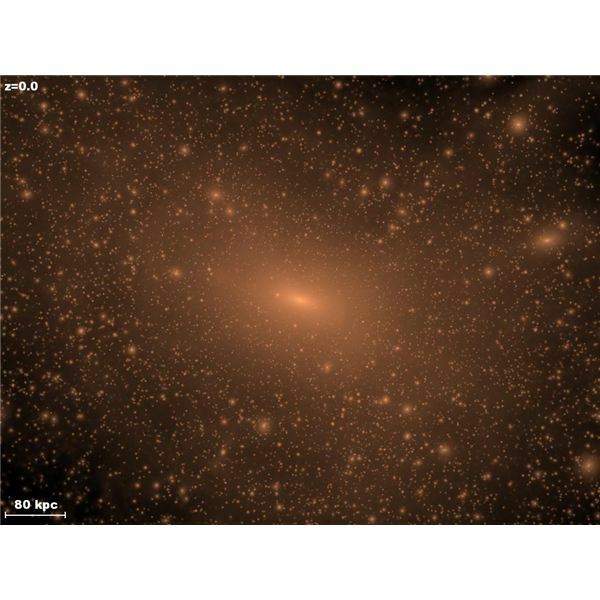 Another component of CDM is the existence of a galactic halos surrounding an entire galaxy where very old stars, globular clusters, brown dwarfs, black holes and dark matter reside. Since the cold dark matter is moving slowly, it is favoured the formation of small galaxies. Are There Problems Associated with the CDM Model? But there are problems with CDM. First of all, the particle of choice for CDM is a WIMP – Weakly Interacting Massive Particle, but these non-baryonic- WIMPs are yet to be identified. Computer simulations of the CDM model show the presence of low mass galactic halos, which are yet to be identified. Cuspy halo and missing dwarf galaxies are two other problems with cold dark matter. CDM proposed the possibility of higher cold dark matter concentration in the center of the galaxy than in other areas. 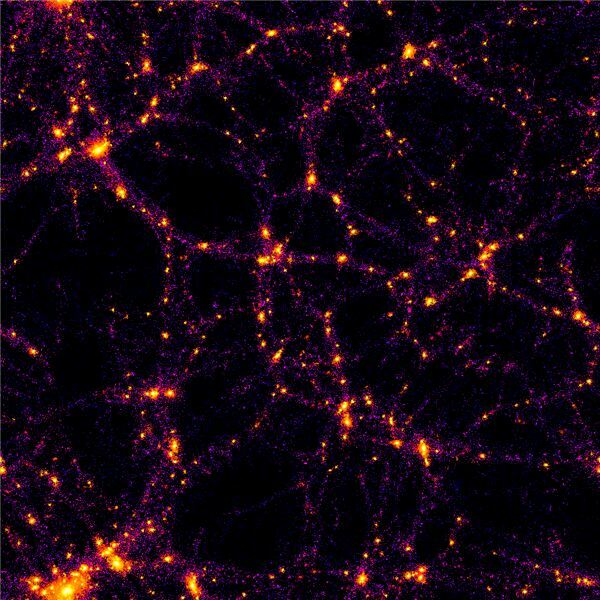 But scientists are yet to find substantial evidence for such cusp or spike in the concentration of dark matter in the center of galaxies. This disagreement between the observed data and the proposal is called the cuspy halo problem. CDM predicts the presence of a large number of small dwarf galaxies in the vicinity of large galaxies like the Milky Way, but the observational data does not support this. But, in 2007 two scientists, Dr. Josh Simon and Dr. Marla Geha published their study that indicates the number of small dwarf galaxies is larger than expected, thereby increasing the acceptance of CDM. It led to the proposal that these dwarf galaxies are composed of dark matter and have few stars thus making it impossible to detect through direct methods. Even though CDM cold dark matter has a number of problems, it is one of the most accepted models of the Universe.